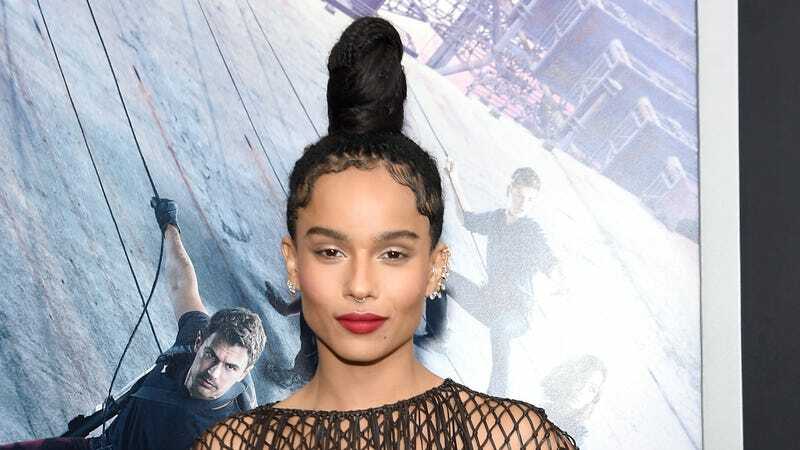 While we’re on the topic of Zoe Saldana wearing blackface to play Nina Simone, the other Zoe (Kravitz) wants to talk about the stereotypical roles being offered to black women before they even make it to production. Kravitz has managed to land a variety of parts in major films, including the Divergent franchise, Dope and Mad Max: Fury Road. No surprise, though, she’s had to deal with a ton of typecasting along the way. In an interview with the Associated Press to promote Allegiant, Kravitz says she’s fought against being pigeonholed into a stereotype. Hmm. On the plus side, she’s glad people are taking notice and talking about Hollywood’s prejudices.